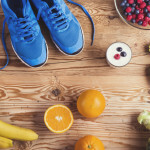 The key to being successful in undertaking a new lifestyle of running is to make sure it is not any more of a radical departure from your old lifestyle than it has to be. Since you are planning when and where to go running in the beginning, be sure to work around the schedule you already have. For example, try to schedule your running each day for a time that coincides with your typical workout schedule. If your schedule does not have a natural workout time, then choose a leisure hour that is nearer to the center of your day. In other words, do not suddenly decide that you are going to get up at 4 a.m. every day to start your new running habit as this will not be conducive to you accomplishing your goal. You want to schedule your runs for a time like your lunch hour, or immediately after or before work, that way it is coupled with a time that you are naturally active. Try to avoid making running the last or first thing you do each day because on days when you do not feel like doing it you will most likely give into the temptation to discard your workout for the day. In the beginning you have set the goal of a 30-minute workout because not only is it a good starting point for enduring a new physical activity but it is also an amount of time that does not require an excess of sacrifice to accommodate into your schedule four times a week. The single most important factor in training is consistency. If you are going to run four times a week, then you want to build a routine of timing so your body can naturally adapt to it. Once you have set a schedule, try to stick to it. Barring injury, try to be consistent as this sort of steady work will reap the greatest rewards in the long run. Next, you want to decide where to go running. Another alluring benefit to the sport of running is the idea that it can be done almost anywhere at almost any time. Where you choose to run is entirely up to you but it will have some impact on the overall outcome of your workout. For example, if you decide to run on a track everyday for 30 minutes, this may give you great benefits in the convenience category but cause you to become bored quickly. Measuring a path in your neighborhood, using your car’s odometer, is a great way to lay out a convenient running path for you to use. The more convenient your running path is then the more likely you are to stick to your running regimen. It is much easier to stay motivated when you simply walk out your front door and begin your run on that spot rather than having to travel to another location. Many neighborhoods have convenient nature paths or running circuits laid out for the community to use. When choosing where to go running, be sure to take precautions such as going with someone, or letting people know where you will be and how long you expect to be gone. Trail running can be a great way to keep the excitement in your running routine, but it can also be a little more dangerous if you are not prepared. Depending on how remote the running trail is, there may be a threat from wild animals. More likely is the threat of slipping on loose rocks or sustaining an injury by incorrectly stepping while running on uneven footing. Going slow and familiarizing yourself with the trail can help you to run safely. Running on concrete is the most difficult surface to run on because it does not absorb any amount of shock. That means that most sidewalks are actually more strenuous to run on than the asphalt street surfaces they parallel. This is not an encouragement to run in the street, but rather an acknowledgement of the fact that black top and asphalt are slightly more cushioned and forgiving running surfaces, making it a place on where to go running. The difference is minuscule, but over extended periods of time the force will add up. It is critical to have a good pair of running shoes with traction specifically designed to hand those surfaces. Other common surfaces to run on include sand and dirt. Running at the beach is an excellent way to find a softer surface to run on but it does present its own challenges. The flexibility of beach sand actually increases the difficulty of running because the sand is easily moved by the force of your foot, which neutralizes some of your traction for movement in each step. Beach running is an excellent workout, but if you are just beginning do not be surprised that the distance covered on the beach will be significantly shorter than the distance you could cover on a sidewalk. One trick is to run on the wet sand near the waves because that area tends to be more compacted. When choosing where to go running, be sure to monitor the surface for small rocks or debris that could cause your steps to falter. The way to keep running fun and interesting is to vary the locations and sites that you see when you run. Some people are content to run around a park path every time while other runners change their routine almost every week. If you are trail running be sure to stick to trails you are familiar with as you will most likely spend the majority of your time looking down and thus will not be as observant of directions and landmarks as you normally would be.